Kayakers off the coast in South Africa had an unexpected surprise when two of their group were lifted out of the water by a 50 tonne whale. The southern right whale swam beneath the kayak and then came to their surface which lifted the boat out of the water. The boat was on the whale’s back for just a few seconds before it placed it back in the water and swam away. Whales are docile creatures and rarely cause harm to humans. Kayaking off the coast is usually the best way to get up close to the sea mammals and in a man powered boat there is less chance of disturbing the magnificent creatures. It is a rare opportunity to be able to get so close to whales in the wild, as they can be quite elusive, despite their enormous size. 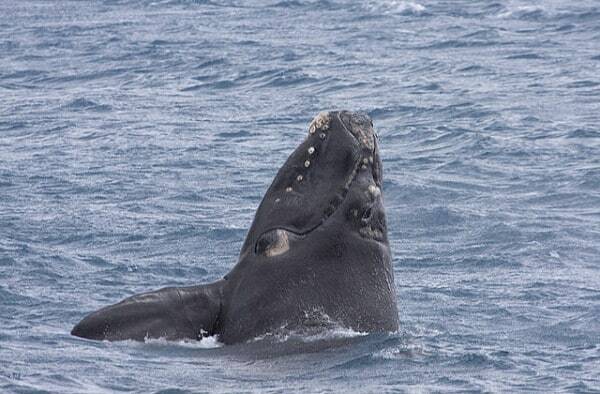 Southern right whales are also endangered so this must have been a real treat for the group. You can learn to kayak when on your adventure holiday at Outdoor Adventure, on inlands canals. There are also great places along the Cornwall coast where you can maybe spot whales too.